The Pakistan Cricket Board (PCB) has named a 23-man probable squad for the upcoming 2019 ICC World Cup in England led by skipper Sarfraz Ahmed. The 23 players who have been included in the list will attend a two-day training camp at the National Cricket Academy (NCA) in Lahore beginning on April 15 where they will all be asked to prove their fitness. Following the completion of the fitness camp, the final 15-man Pakistan squad for the World Cup will be announced on April 18. 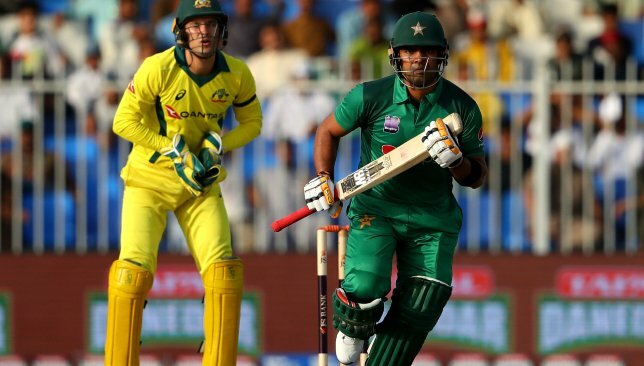 The biggest omissions in the 23-man probable squad are Umar Akmal and Saad Ali who both recently featured in the ODI series against Australia in the UAE where Pakistan were handed a 5-0 drubbing. While Akmal and Saad Ali have been left out, there is a place for specialist Test seamer Mohammad Abbas, leg-spinner Yasir Shah as well as Shan Masood who scored a half-century in the series against Australia. There was good news for pacer Mohammad Hasnain as well with the youngster finding a spot in the 23-man squad. 18-year-old Hasnain had impressed for Pakistan Super League (PSL) champions Quetta Gladiators before he was handed his maiden international outing in the series against Australia. The Men in Green will depart for England for the World Cup on April 23 where they will play a couple of warm-up games against Kent and Leicestershire. Pakistan will then take on hosts England in a five-match ODI series as well as a sole T20I before opening their World Cup campaign on May 31 against West Indies at Trent Bridge. Sarfaraz Ahmed (c), Abid Ali, Asif Ali, Babar Azam, Faheem Ashraf, Fakhar Zaman, Haris Sohail, Hasan Ali, Imad Wasim, Imam-ul-Haq, Junaid Khan, Mohammad Abbas, Mohammad Amir, Mohammad Hafeez, Mohammad Hasnain, Mohammad Nawaz, Mohammad Rizwan, Shadab Khan, Shaheen Shah Afridi, Shan Masood, Shoaib Malik, Usman Shinwari, Yasir Shah. Rashid is Afghanistan's new T20I skipper. Afghanistan skipper Asghar Afghan has been relieved of his duties with the country’s board appointing new captains for all three formats on Friday. Asghar Afghan had been leading the national team across all three formats previously but the Afghan board have now decided to go the route of split-captaincy for the three formats. Asghar Afghan has been removed from the leadership role with Gulbadin Naib, Rashid Khan and Rahmat Shah announced as the new skippers for the three formats. The decision to do so was taken on Friday following a meeting of the Afghanistan Cricket Board (ACB) Selection Committee. It will be 28-year-old all-rounder Gulbadin Naib who will lead the team in the ODI format and thus the upcoming 2019 ICC World Cup in England. 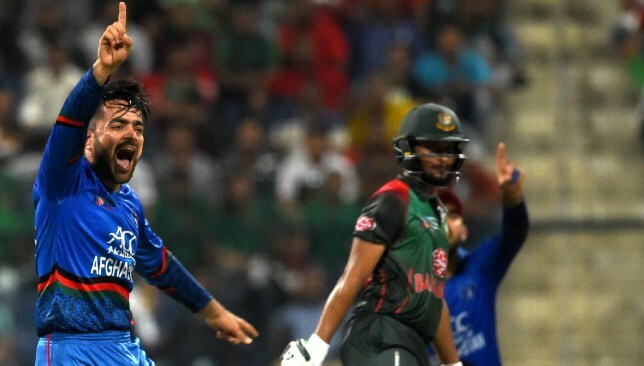 Leg-spin sensation Rashid Khan will serve as Naib’s deputy in the 50-over format while the 20-year-old will take over as skipper in the T20I format. Rashid is the No1 ranked T20 bowler in the world and it is the first time that the wrist-spinner has been appointed to a leadership role in the Afghanistan setup. Meanwhile, Shafiqullah Shafaq has taken over as the new vice-captain in the T20I format. 25-year-old all-rounder Rahmat Shah has been announced as the new Test skipper of the side with Hashmatullah Shahidi announced as his deputy. Afghanistan have played two Tests so far since they were given the Full ICC membership with Shah playing a part in both the matches. The right-handed batsman has scored 198 runs in those two Tests at an average of 48. A prolific two days for Lasith Malinga. Just 12 hours after helping Mumbai Indians beat defending Indian Premier League (IPL) champions Chennai Super Kings, Lasith Malinga was picking up a seven-wicket haul for Galle in the Super Four Provincial One-Day Tournament in Sri Lanka which began on Thursday. 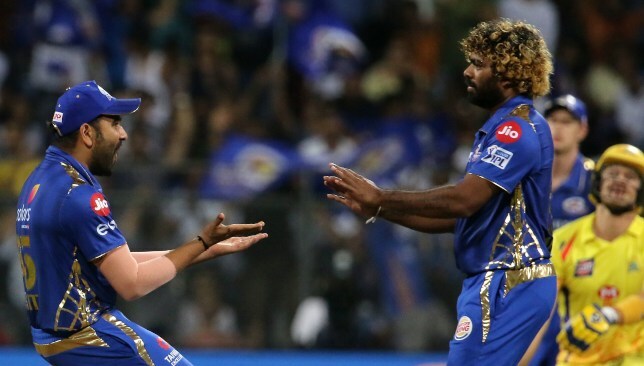 Malinga had returned with figures of 3-34 on Wednesday at the Wankhede stadium to lead Mumbai’s charge to a 37-run win over Chennai before making the overnight trip back to Sri Lanka to join up with the Galle squad. Captaining Galle on Thursday against Kandy, the veteran pacer finished with figures of 7-49 to lead his side to a commanding 156-run win in the domestic tournament opener. Playing across two countries in as many days and picking up 10 wickets speaks volumes of Malinga’s commitment to both the IPL and the Sri Lankan national team. The 35-year-old had initially been granted permission by Sri Lanka Cricket (SLC) to skip the entire Super Four tournament in favour of playing in the IPL. However, considering that the domestic tournament will have a bearing on Sri Lanka’s World Cup selections and captaincy candidature, Malinga has decided to make himself available for Galle. The Super Four Provincial tournament will run until April 11 meaning Malinga could miss Mumbai’s next two IPL fixtures should Galle make the final.